This is an entirely new edition, with the same hard cover, sewn binding and full colour photography as the Hauraki Gulf Boating Atlas, its companion volume. It is fully indexed, with 192 pages and considerable addition to content. The guide covers, in detail, the harbours and coastline from Whangarei to Cape Reinga and the Three Kings Islands. The Whangarei sectrion looks at the marinas and details of the large water area from the Whangarei Heads to the Town Basin. Coverage from there comprises Tutukaka and Whangaruru and the coast in between. 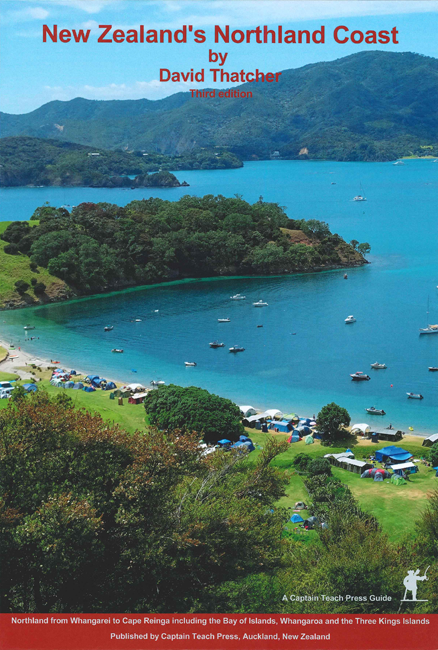 The Bay of Islands section starts at Whangamumu and is, on its own, an extensive and invaluable guide to the region. Coverage includes the Waikare inlet and the extensive water area in the approaches to Kerikeri. Thence coverage extends to the Cavalli Islands, Whangaroa and The Far North. For Doubtless Bay and northward, including the Three Kings Islands, much effort has gone into obtaining photographs, narrative, charts and plans.